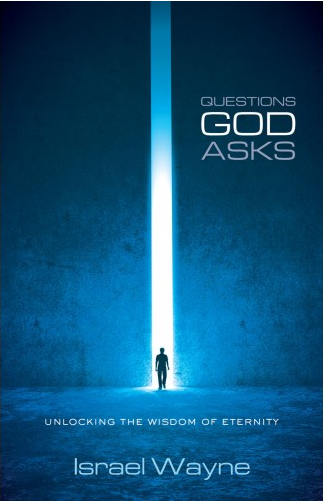 Recently, I've been reading an ebook, Questions God Asks: Unlocking the Wisdom of Eternity. I found it to be completely fascinating reading. 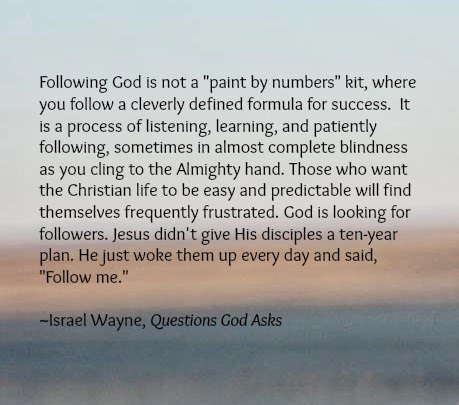 The basic premise is that Israel Wayne has written a chapter addressing the questions GOD asks -- because "when God asks questions they are meant for our edification." I expected to find the book interesting. It was. But it was more than that. I really loved reading through this and thinking about things. The questions were made very personal, and now I find myself reading the Bible differently too. I can't read the stories, and hear the questions being asked, and not think about what God is asking me. Then there were parts that I found just laugh-out-loud funny. In the chapter where God asks Eli, "Why Do You Honor Your Sons More than Me?" you read about Samuel and how after watching Eli and his sons, you'd think Samuel would have picked up some parenting tips, yet Samuel's sons had pretty lousy reputations as well. It goes on to say, "Samuel anointed the young king David, who as a child doubtless saw Samuel's sons on the covers of the tabloids at the Bethlehem grocery store." That image struck me as funny... but true, in a way. David, of course, didn't do better in parenting his sons. You can see what others have to say about Questions God Asks at the New Leaf Publishing Group blog! Oh, and on March 31 (can you believe it is nearly the end of March?) there is going to be a Facebook party, with lots of amazing things being given away. Read more at the blog!